This week on Terra Informa, we’re talking to the people behind the headlines and book covers. We hear from the scientist at NASA who discovered ice melting across almost all of Greenland’s surface this July. We also take you behind the scenes of a new book on repairing the earth in sites of environmental destruction. And we’ll look into biomonitoring, and how it can be used to assess the health of an ecosystem. This week we speak with Son Nghiem, a NASA remote sensing scientist who noticed this dramatic melting of Greenland’s ice sheet that happened over just four days this July. Greenland’s Arctic ice sheet is massive – covering almost the entire island, and kilometres thick in most places. NASA estimates that if it all melted, global sea level would rise by about twenty feet. So when NASA Jet Propulsion Laboratory scientist Son Nghiem noticed that 97 percent of its surface melted in just four days this summer, his first instinct was to double-check the data. 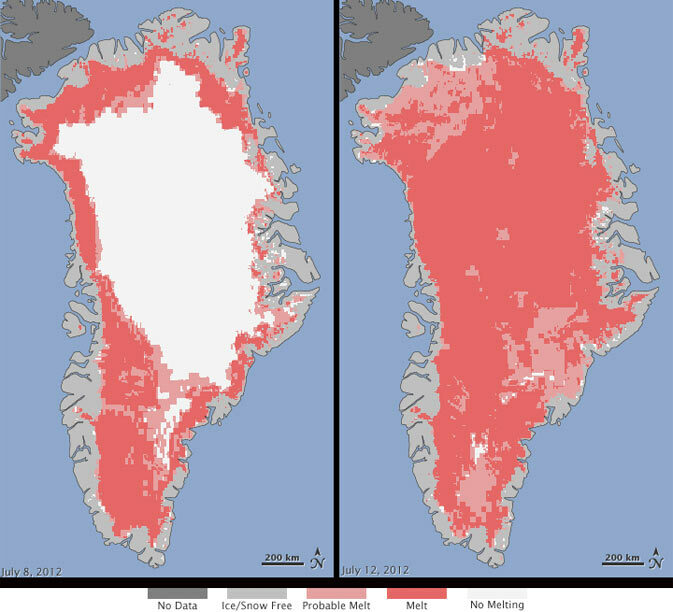 The melting coincided with an unusually strong dome of warm air over Greenland. Chris Chang-Yen Phillips reached Son Nghiem in California. Leila Darwish is an activist, educator and former Terra Informer, who is currently writing a book on earth repair. What is earth repair and what role does and could it play in places and communities where environmental destruction has had devastating impacts? Annie Banks interviewed Leila in the North Saskatchewan River Valley. Download longer interview with Leila Darwish about Earth Repair here. Another oil spill has been discovered southwest of Edmonton around Thorsby. The pipeline lost approximately 40 barrels according to Ravenwood Energy, the owners of the pipeline. This is the fourth reported spill in Alberta in two months. That wasn’t the only pipeline spill over the past week. One of Enbridge’s pipelines in Wisconsin ruptured on Friday spilling about 1200 barrels, or nearly 200 000 liters of oil. It’s being described as the company’s worst spill since their 2010 leak into the Kalamazoo River. An America scientist is funding her own project in the arctic. Carol Reinisch says there is a need to establish data on clams now because pollution in the Northwest Passage will likely increase with loss of arctic ice. In her interview with CBC news, she said there is an established link between pollution and leukemia in clams. Because clams are stationary, they can help to measure changes in the environment, and specifically pollution. She has worked with Environment Canada in the past but decided to fund the project herself due to recent budget cuts and the need for prompt data gathering. Government agencies often rely on monitoring and assessment of ecosystems to provide the information they need in order carry out habitat or wildlife management. One of the most popular approaches is biomonitoring. It’s the approach advocated by both the U.S. Environmental Protection Agency and Environment Canada. But what is biomonitoring? Rebecca Rooney brings us the details in this week’s Eco Babble. Starting in September, in Edmonton, Alberta, on Plains Cree and Blackfoot territories, there is a six-week solar energy class and tour. The class will take place on Tuesday evenings from September 4 until October 9, 2012. Rob Harlan from the Solar Energy Society of Alberta will be instructing people on the direct uses of solar energy, including using solar energy in your home, greenhouse and at your job. The class will be an overview of the latest technologies and will end with a tour of commercial solar installations. Check out the Solar Energy Society of Alberta’s site for more information about classes. From August 3rd until August 6th, the Committee for Future Generations is hosting a “Survival Celebration Camp for Sustainable Earth” in South Bay, Saskatchewan, 50 miles North from Beauval Forks. Elders from various communities across northern Saskatchewan have been asking for a gathering this summer to address concerns about nuclear waste storage and transportation. The gathering will be focused on sharing ideas to live in ways that protect the earth instead of poisoning it. The hosts state: “our traditional way of life: hunting, fishing and gathering berries and medicine, aleady make us an example to the world of living in a way that protects our environment”. This is a traditional gathering, and no alcohol or drugs will be permitted. This week Zane brought an insightfull look at the past weeks news. Here are those headlines and links. According to a recent report prepared for Alberta’s Sustainable Resource Development (SRD) department, there are approximately 23 grizzly bears estimated to occupy Alberta’s Swan Hills. This new information brings the total estimated number of grizzlies in Alberta so far to 604. The status of Alberta’s grizzly bear is currently being reviewed. Following the review, Alberta’s Endangered Species Conservation Committee (ESCC) will make a status recommendation to the Minister of Sustainable Resource Development. Environmentalists with an interest in politics have had reason to feel energized since 2006, when veteran Environmental campaigner Elizabeth May was elected to lead the Canadian Green Party. Under her leadership the party took almost a million votes at the 2008 federal election, their best result ever. Prior to entering politics May was a high profile environmental lawyer and executive director of the Sierra Club of Canada. She has written 7 books and has advised federal governments of all political stripes on environmental policy. Last week Elizabeth May spoke to students at the Sierra Youth Sustainable Campuses Conference. Terra Informa’s David Kaczan caught up with Elizabeth after her address, to discuss climate change and the future of the green party. In the Appalachian Mountains of the eastern US, a battle is raging. Mining companies are blasting away mountain tops to reach underlying coals seams, locals are worried about their health, and environmentalists have had enough. 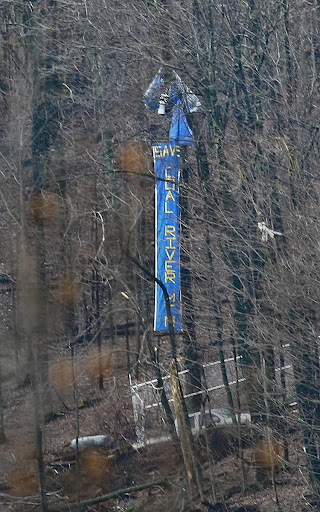 This past week they shut down one of Massey Energy‘s mines with a tree sit that lasted for nine days. Steve talked to a spokesperson for Climate Ground Zero to find out what was going on.